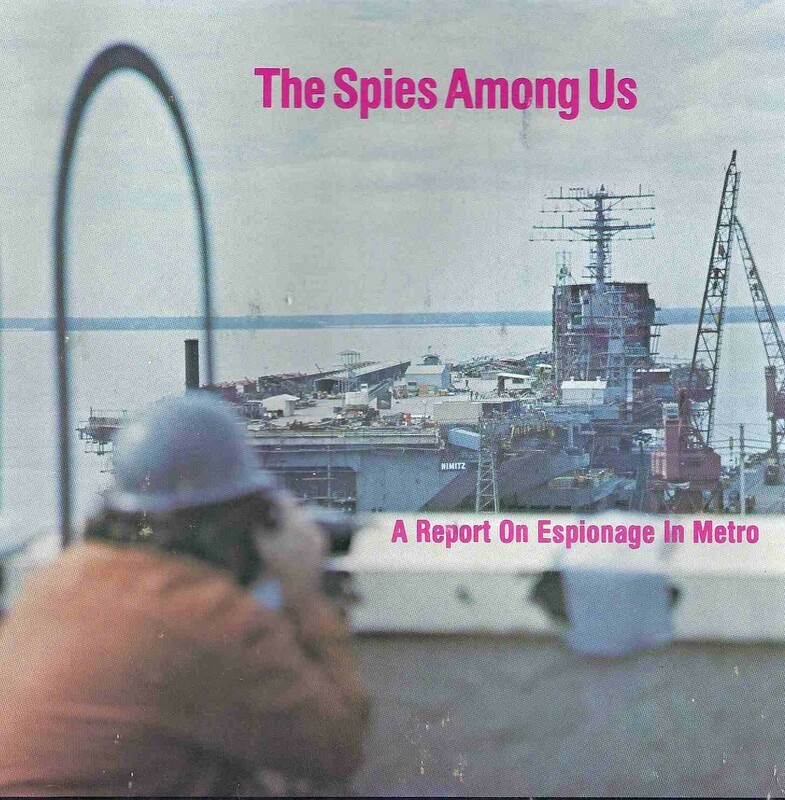 In the January 1973 issue of Metro Hampton Roads Magazine, as its writer and editor, I prepared to publish the cover story “The Spies Among Us: A Report of Espionage.” During the previous months I had done a great deal of research on the methods and techniques available to Soviet spies operating in the United States. Since Hampton Roads, Virginia is one of the largest military complexes in the world as the home port for the US Atlantic Fleet, The Supreme Allied Command Atlantic (part of NATO), Langley Air Force Base (the original home of NASA), Fort Monroe (home of the US Continental Army Command), Little Creek Amphibious Base with its Navy Seals and Marines, and Oceana Naval Air Station (home base for the Navy’s aircraft carrier war planes), it was logical that our area was a hot bed of spy activity. 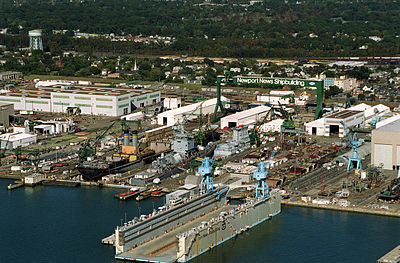 My target for a possible spy operation, however, was Newport News Shipbuilding where our latest aircraft carriers and nuclear submarines were being constructed. Wouldn’t Soviet intelligence love to photograph those ships under construction? In those early years of the magazine, although I was editor-in-chief and supervised both the content and the design of the publication, it was also necessary for me to make advertising sales calls. After calling on potential advertisers in Newport News, I began a reconnaissance of the commercial street that bordered the shipyard while asking myself if any of the buildings there could be used by spies as platforms to photograph the top-secret shipbuilding. I then found and entered a third-rate four or five-story apartment building and climbed the stairs up to the top floor where I discovered an unlocked equipment room and a locked metal door that led to the roof. The door itself was imposing with its thick metal plate and a large brass padlock that secured it. But then I noticed that the hinges to the door were exposed on the inside of the door. Retrieving a screwdriver from my car, I re-entered the building, climbed the staircase again, and popped the pins from the hinged door. Pulling the door open enough to get through, I emerged on the roof and was shocked by the view at the front side of the building. Nearly centered to my view was the deck and superstructure of the aircraft carrier Nimitz then under construction. Moving across the roof to my right, the construction of a nuclear submarine was also very vulnerable to a telephoto lens. In reflex, I crouched low, fearing that I might be observed by shipyard security. I retraced my steps, restored the pins to the roof access door, and made my way out of the building without ever encountering any of its occupants. Although I appreciated that I was treading on dangerous ground, I led a team of two photographers to the rooftop a few weeks later to play spies and photograph the two important Navy war ships under construction. The photo that became the magazine cover photo has my friend and the future publisher of six of my books—Bob Friedman—crouched in the foreground wearing a hard hat and photographing the Nimitz that dominates the page. We later used other photos of the carrier and the submarine as illustrations within the body of the magazine story. We had gotten away undetected, and we prematurely celebrated our caper on the way back to Norfolk. Little could we imagine the chaos that our adventure would set off in our nation’s capital. When the story and cover were ready for publication, I shared them with my publisher George Crump, who insisted that our attorney Eli Chovitz clear them legally. Eli checked the law, the Secrets Act, and advised me that I wouldn’t go to federal prison for taking the photographs, but I might be arrested for publishing the photos without high-level government permission. When we submitted the story and photographs to the Navy command in Norfolk, we opened a box of panic that went all the way to the Pentagon and the FBI. Then, too, my printer deadline was fast approaching. The official government decision did not come until the last possible deadline hour. We were advised to substitute specific photos in the story layout for others of their choice, but otherwise, we were approved for publication. 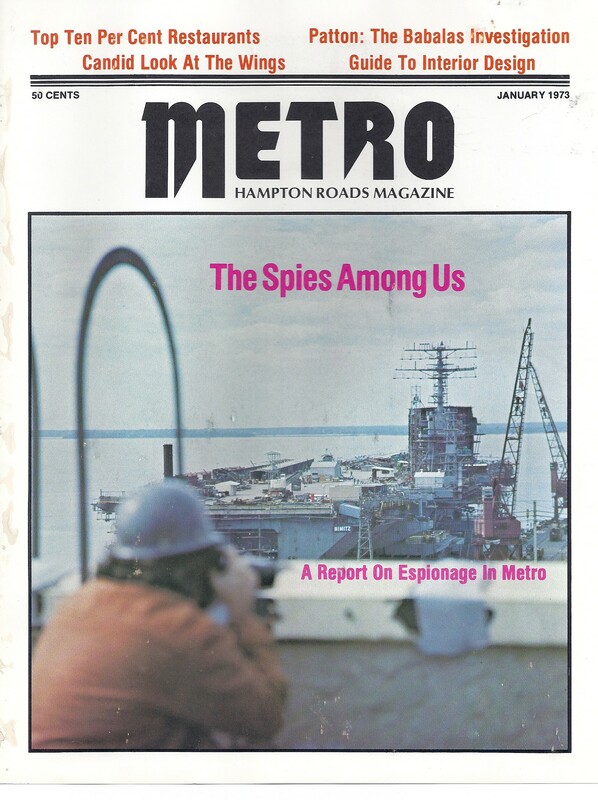 When the magazine hit the newsstands, I received an angry telephone call from a Navy Commander who headed the security department at the Newport News Shipyard. The negative exposure had blindsided him, and he felt compromised by it. A few months later, he called me back to apologize. It seems that our magazine feature story had motivated the Navy to greatly increase his budget and to facilitate a higher degree of shipyard security. Then he asked me if I had noticed the two guys in a small boat who seemed to be fishing almost every day in waters adjacent to the shipyard. “They are not ours,” he confided. My Navy Intelligence contact at the Fifth Naval District for the cover story decision crisis also re-called me. With a note of humor, he told me that our photographs of the Nimitz were strikingly similar to those taken by our spies of a Soviet aircraft carrier then under construction. 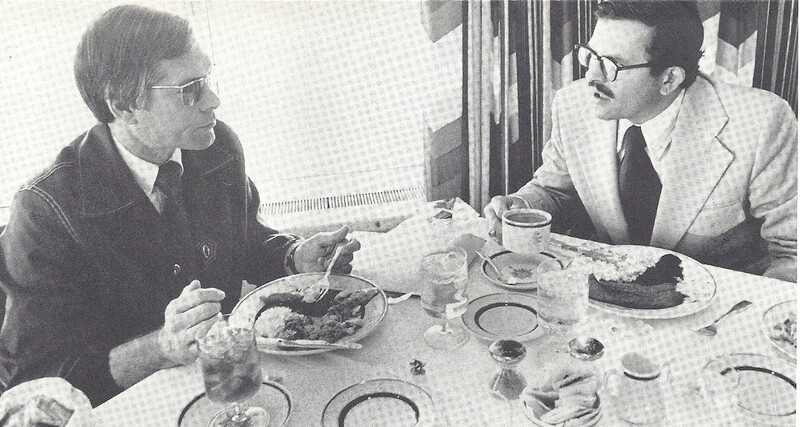 He then acknowledged the Top-Secret security clearance that I had received in the Army and invited me to have lunch at the 12-seat senior officers table at the NATO command. The big surprise in the aftermath of “The Spies Among Us” publication was a personal letter that I received from the FBI Director J. Edgar Hoover, who praised me for the anti-Communist virtues of my investigative journalism. His letter made me wonder how high in government and military circles my story had penetrated. In my career I have personally known two former Central Intelligence Agency agents who have operated clandestinely overseas—one during WWII whose story I published, and another who would never admit his spy status. Finally in 2010 and 2012, I used my knowledge of spy craft in two novels, The Opera Conspiracy and Portrait of the Artist’s Ghost. These novels are now in search of a publisher.